The answer is not much. Today I accidentally shoplifted or almost did. Thankfully my husband noticed while loading the car. How it went down. We did the usual post-church Walmart run. I picked up two plastic storage drawer units and had the cashier scan it from the cart because they were awkward. I’d picked up a few random items too including a pair of silver hoop earrings. 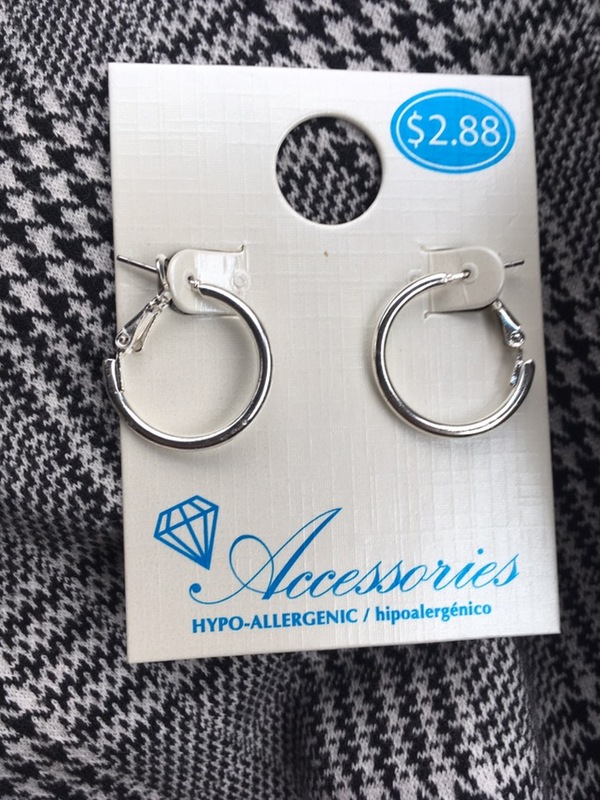 I didn’t even think about them until my husband picked up the drawers and noticed the earrings. I scanned the receipt and they weren’t listed. I did the right thing and immediately went back inside explaining to the greeter on my way in. Did I have to do this? The answer is, “absolutely” but there were a lot of good excuses for letting just driving away. Walmart is huge, they won’t miss $2.88. Yes, but it adds up. They don’t treat their employees well. That $2.88 goes towards salaries and benefits. Every little bit counts. While there doesn’t need to be benefits for doing the right thing, I’m glad I had the chance to make that choice. What is a time you made a decision to do the right thing no matter how small?